The Latin American Pavilion at the 56th La Biennale di Venezia is going to present an amazing collective art work consisting of 17 independent artists positions focusing on ‘Indigenous Voices’. Fabiano Kueva is one of the participating artists who took his time for some of my questions. Giving striking answers which have potential to enrich a passionate discussion about the visual regime and activism in contemporary art. 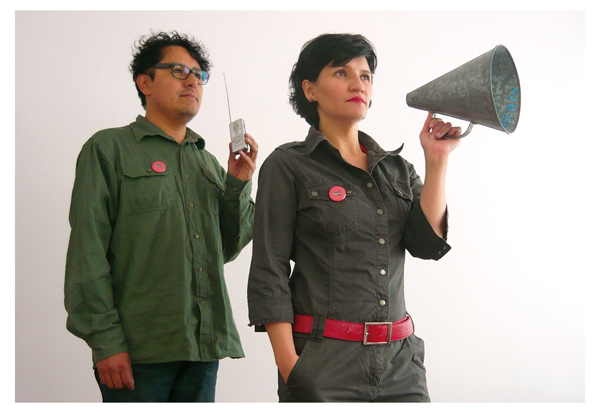 Wayra: You are a member of the collective “Centro Experimental Oído Salvaje “(Wild Listening Experimental Center ) and have won numerous international scholarships and awards, including New York (Apexart) and Munich (Villa Waldberta): What is the specific challenge to participate as a sound artist in a collective sound installation in one of the most important international art exhibitions? How works this for me? If Abya Yala had more than six hundred languages in its history and the most are extinct, muted or vulnerable, this situation opens a simple question: Where are the rest of languages? Where are these peoples and communities now? This question makes us responsible of this absent, may be producing us a deep shame… And a possible turn of our look and listening that can give us some keys about the modern-colonial processes, the actual pressure over this peoples and communities by the governments (including the political left) and the transnational companies (including the big Chinese investments) to extract the oil, the minerals, the water, the knowledge from the last indigenous peoples territories. So, for Oído Salvaje and me was a great chance to join this project, because we perceived its symbolic potential and a strong relation with our statements that since 1995 try to do and think the politics of listening and the sound practices as an integral social experience based in the local/global relations of power and knowledge. Also, we participated in many biennials, sometimes with the sensation to be a drop in the sea, but beyond the art system logics could be interesting in Venice to meet with people that work and walk in similar ways. I hope. Wayra: What is the story behind the three speakers of your sound installation? Where did you meet each other – and who and how selected the text? Fabiano Kueva: Well, Oído Salvaje worked intensively in sound field recordings many years, including afroecuadorian and indigenous music, tales, radiofeature and soundscapes. 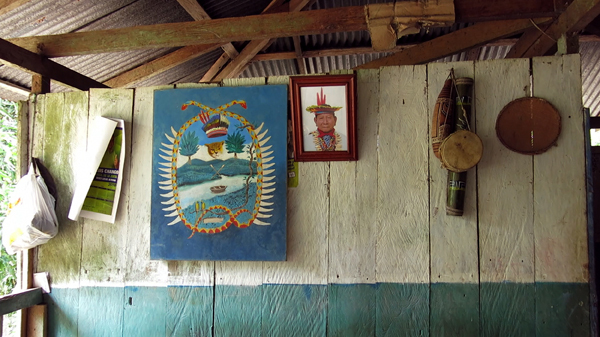 When Alfons Hug invited me to his project I decided to make a travel to the Putumayo River in the Colombian – Ecuadorian border, where the Sionas (Zio Baim, people of tiger) had live for many centuries and try to dialogue with them now. Thanks to the gentlehood of the Taitas (the political and spiritual leaders) Humberto Piaguaje, Pablo Maniguaje y Sandro Piaguaje I spent few days with them and make together some recordings. 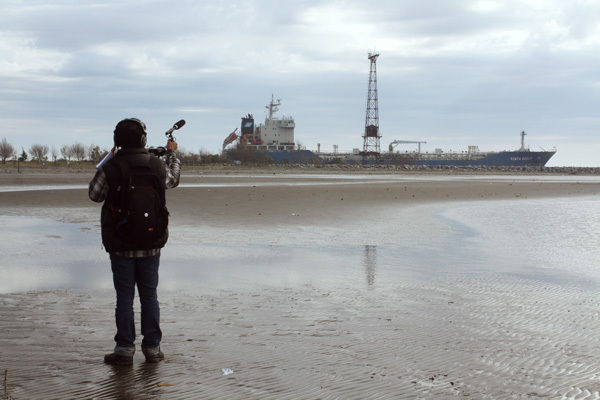 The sound piece is a political and spiritual message from the Siona people to the world, an invitation in their ancestral language and forrest soundscape to listen, to learn, to share, to respect their way of life. Wayra: What role can the contemporary art play in the promotion and preservation of rare languages and the associated cultures and values? Fabiano Kueva: The contemporary practices that now move between the cultural research, the communication and the art became in a way of activism. The artists can be a support to the resistance processes of the indigenous peoples and communities, that is not new, but an actual debate about this must focused in the power/knowledge relations, in the sense and benefit that the people or community gives/receives into projects or experiences that from the art are just aesthetical or theoretical themes. Is time to redefine our role based in the reciprocity of the indigenous worldview because, at last, we are in the world: to serve to the life. Dear Fabiano Kueva – thank you for your time & my best wishes!